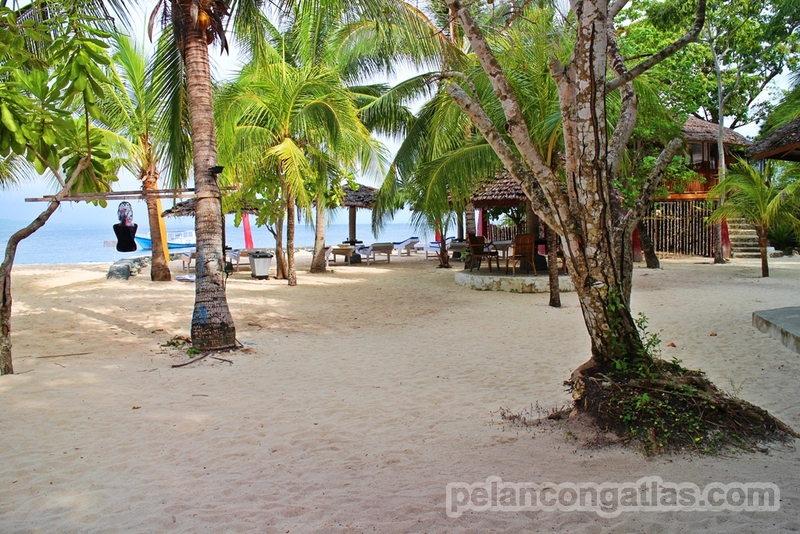 Prince John Resort is the only dive resort in Donggala. There will be no diving in Donggala without Prince John. Donggala, a small town – 40 km from Palu which can be reached around 40 – 50 minutes drive by car. Donggala was used to be as capital of Central Sulawesi before moved to Palu. There’s no public car operates between Palu to Donggala, you either need to rent a car or take argo (local call for taxi). Taxi price for one way transfer from Palu to Donggala around Rp.450.000 – Rp.500.000. It is too expensive for 40 km taxi-ride! Tanjung Karang beach is famous beach here; Prince John Resort is side-by-side with some local owned home stays, which has rate 10 times cheaper than resort itself. For sure you can’t compare facilities, its 5 star PADI resort! Resort operates by a German guy name Alexander Franz, who holds a diving instructor license. But the owner is Indonesian. All food’s ingredients are imported from Bali, so price is quite expensive here, for instance simple fried rice is Rp.70.000, small Bintang beer is Rp.25.000. Prince John Dive Resort, Donggala. Cottage at Prince John Resort. Well, if you intended to stay here, be ready to pay more than 1 million rupiah for 1 night stay here, that’s the cheapest! Already include breakfast and dinner, while you can buy lunch yourself. Rumors I heard, just step away from beach you already found a beautiful corals. After plunge your head down water, you will say it’s not a rumor, it’s true. Ten meters away from shore, I found natural corals and fishes. Diving and divers are treat very strict here, no matter what is your license–open water, advanced, dive master, or instructor, your first dive must be house of reef, located in front of resort. During your dive at house of reef, guide wills pay attention to your skills, then grouping you to most suitable group. But, this is valid only for first time you dive here, if you come back later on, no need to dive at house of reef. Mentioned date of your first dive here also your guide, they will look out your file as you need to register a “dive registration” during your first time dive here. 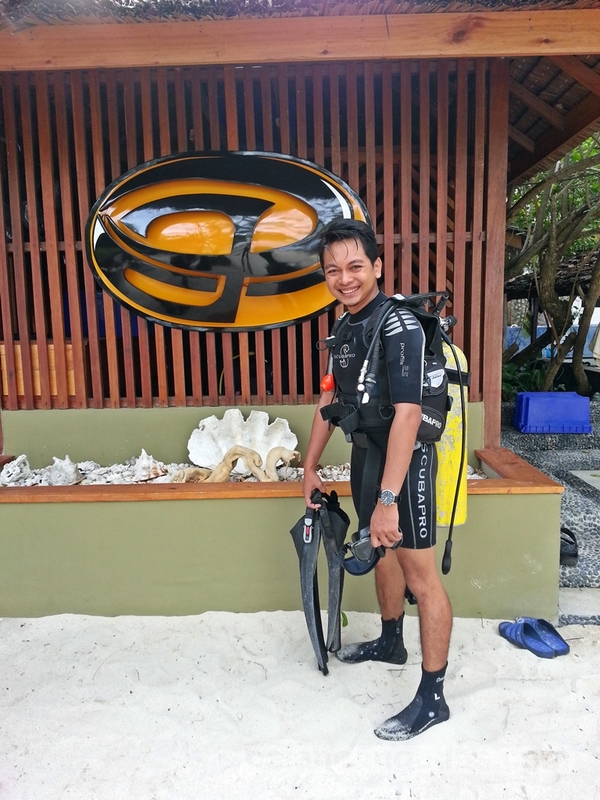 Gunawan, one of dive guide there explained to me carefully purpose of doing “1st dive is house of reef”. “It is for diver safety, we want every diver enjoy diving with us. We need to make grouping based on diver’s capability”, he stressed. The problem is, house of reef is not really interesting site to dive – at least for me. Yes we can find marine creatures, but I already seen it somewhere. There’s coral transplantation area developed by resort, corals grow quite good. 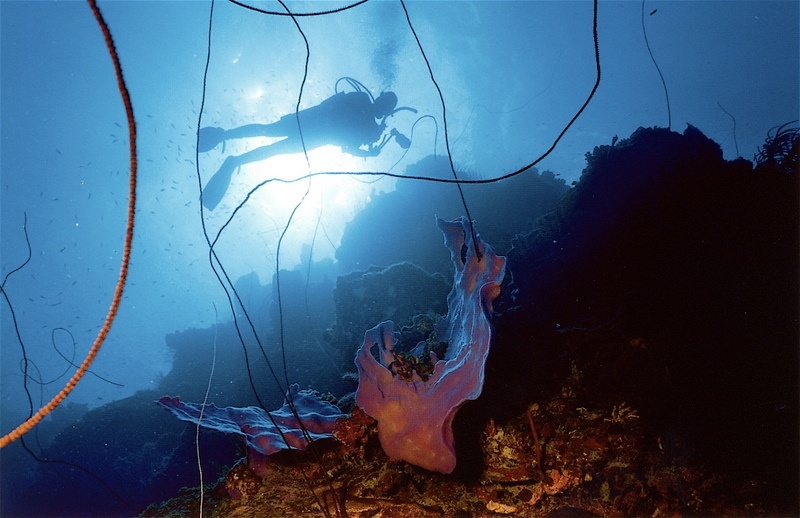 Underwater – copyright of Prince John website. My friends do a discovery dive; I need to wait half-hour before they’re set with scuba. Each guide holds an introductory diver, not more. “Once again, we’re really aware of safety. 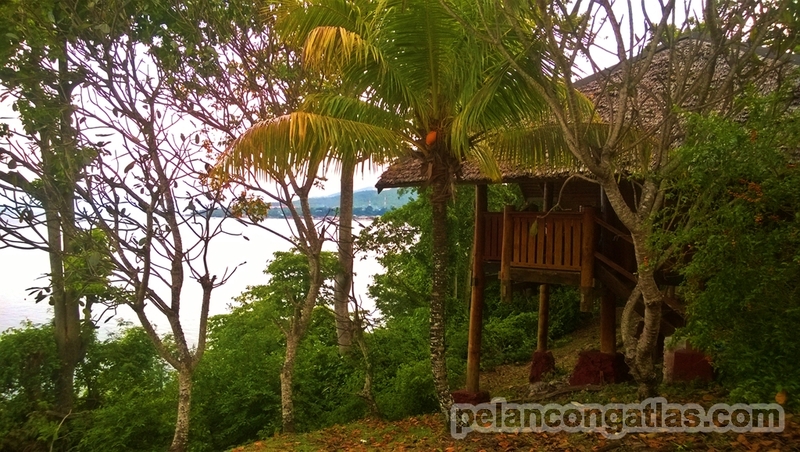 This resort is operates by foreigner, so its very discipline”, Gunawan added. We do shore-entry diving, good ability to kick your fin is needed here. If you kick sands below, visibility will become worst. Then after get some deep and further from shore, I saw moray eel hide behind coral; he opened mouth to show very sharp teeth. I moved back to avoid trouble. Later on, I saw some parrot fish, barracuda, and some fishes I don’t know as I really bad with fish identification. 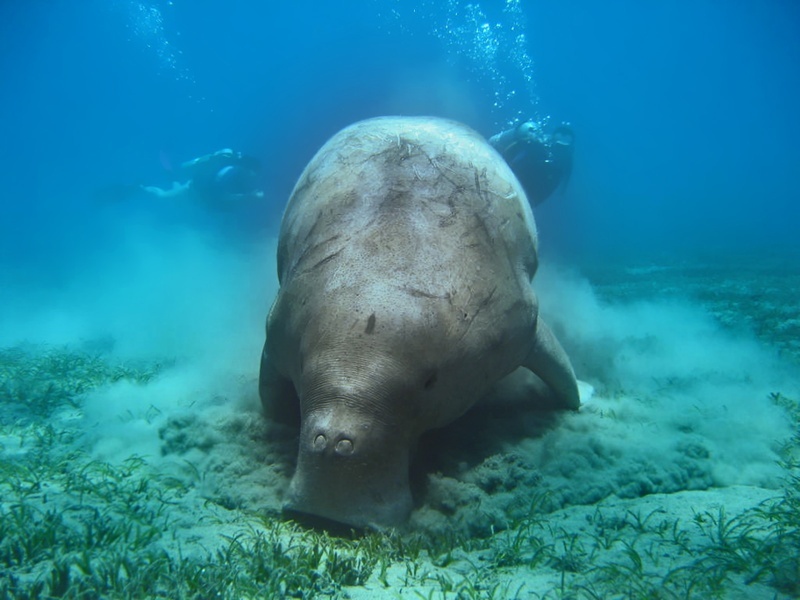 Dugong – Underwater – copyright of Prince John website. Fortunately, my friend knows Gunawan – the dive guide, so I got discount price for diving. It’s really good deal. Best I had so far, Rp.300.000 for 1 dive include all equipment. Cheap? Yeah! 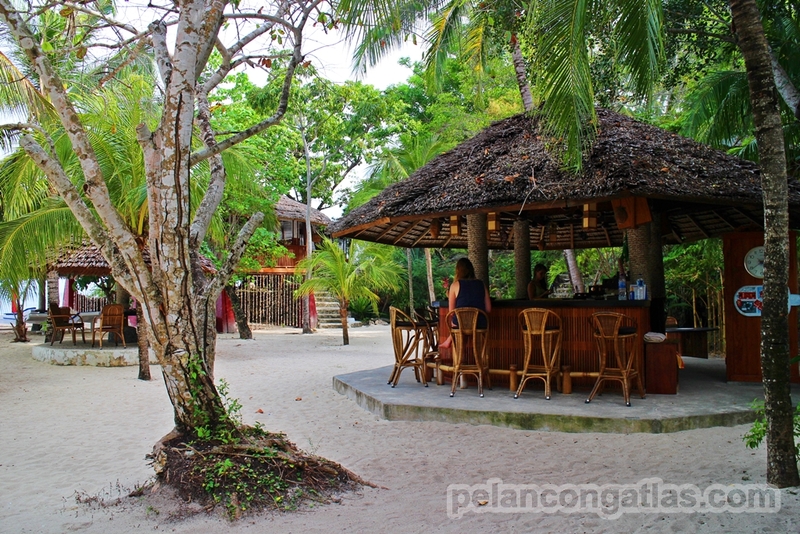 After diving, you can relax at resort’s bar or just lying on white sand beach. Most of guests are foreigner, at that time only we and other local is Vice Chief of Central Sulawesi Marine Police who dived there. Many good places to dive here, at some spots the chance to meet shark (white tip or black tip) is almost 95%. 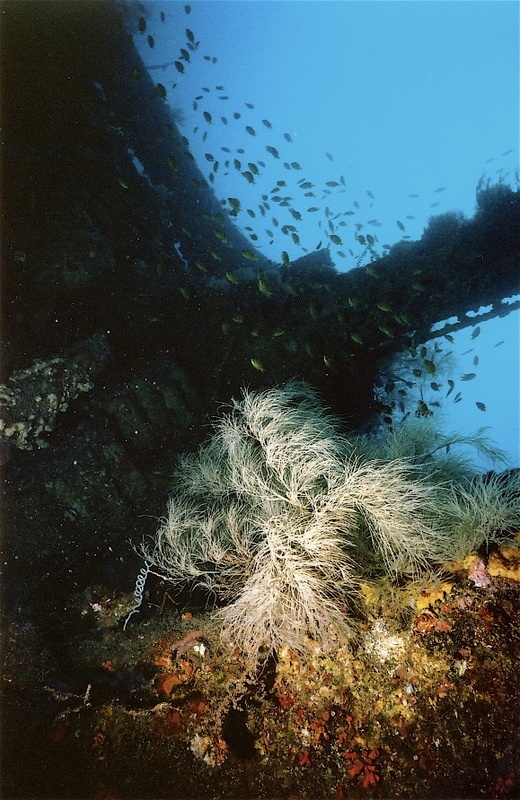 While the other famous spot is Gili Raja – a cargo ship which sunk because shot from Permesta rebellion in 1958. Not all divers are allowed to dive here, depth is 50 meters, again you need to show off your diving skill at house reef to guide, then they’ll decide whether you good enough to dive at Gili Raja spot. 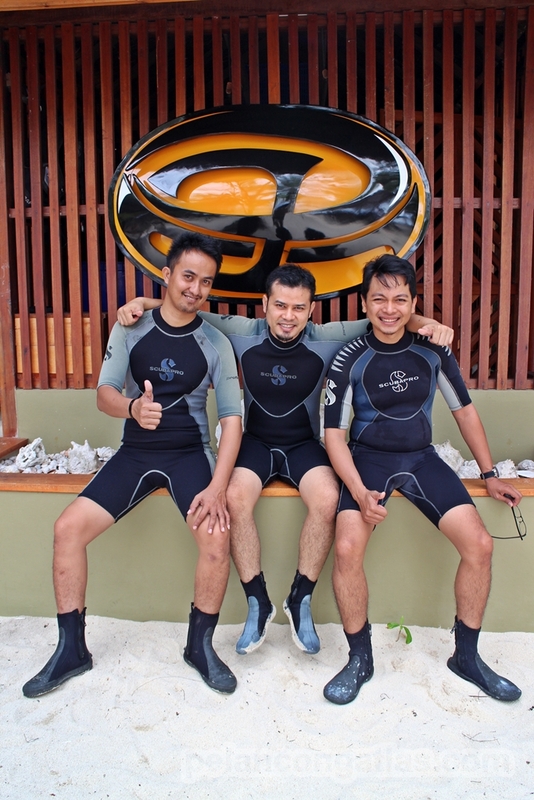 It is very recommended place to dive; good facilities, well-maintained equipment, and good staff. Will be back for sure! You should! There’s another new place to dive near Palu, Parigi Mountong. Try to search Equatorial Dive Parigi Mountong. Never been there, but I saw from their page is awesome. Hi Thanks for your info. Will figure out it soon..
Mas, ada kontak dive guide sana ? saya rencana mau dive di sana akhir bulan ini tp nginepnya di homestay aja biar murah hehe..
Bisa hubungin ke Prince John-nya : 0245-771710. Minta guide-nya Gunawan.